We have Just Sold out of Star Wars Bop It R2-D2 Game. Not to Worry! 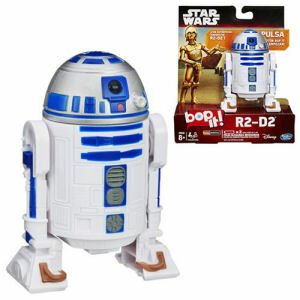 Fill in the Notify me When Available and you will be the first in line for our restock of Star Wars Bop It R2-D2 Game !! From the Star Wars collection by Hasbro. Star Wars Bop It R2-D2 Game. Fun for 1 or more players. Measures approximately 4.5 inches tall. Ages 8 and up. Requires 2 AAA batteries that are included.